MetLife Insurance has chosen CUBE for a regulatory intelligence and change management pilot project as part of its open innovation programme, “Collab 4.0”. Created by LumenLab, MetLife’s Asia innovation centre, Collab 4.0 invited insurtechs from around the globe to apply for a JPY 10 million ($90,000) contract to pilot their solutions with the insurer’s Japan business. 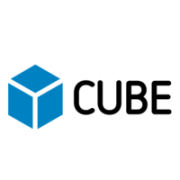 CUBE was among the six finalists selected from 140 applicants across 40 countries and was awarded the win in Tokyo in early December 2018. The regtech platform captures financial services regulatory intelligence and automates the process of managing regulatory change. Using artificial intelligence (AI) and robotic process automation, it delivers regulatory change automation in real time across the enterprise. Currently, CUBE monitors regulatory intelligence across 180 countries, in 60 languages, for multi-jurisdictional financial services organisations. The firm should not be confused with India-based challenger bank Cube.